Alan Sharland, author of the Communication and Conflict website is Director of CAOS Conflict Management, a London based organisation providing mediation, conflict coaching, mainly in the London area or via Skype, and training and consultancy in conflict management services nationally across the UK. Do you live in or around London, UK? We are offering one of the most reasonably priced courses available. We want to make mediation an accessible skill for as many people as possible to learn because it doesn't just teach you the skills of mediation - you learn a lot about yourself too. Want to know more about CAOS Conflict Management? The Underlying Philosophies of Conflict Coaching from CAOS and how these support you with your difficulty. 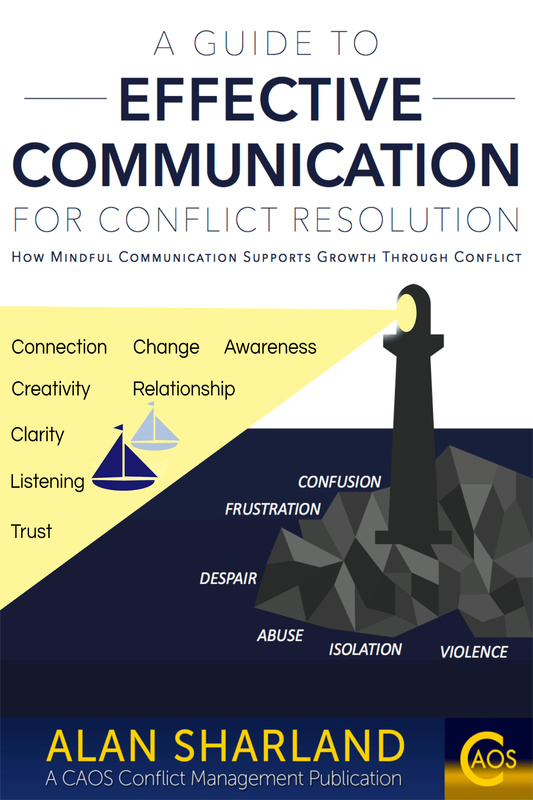 The 3 main ways in which conflict is responded to. 2 of these never lead to resolution. Can you practice the 3rd way that leads to resolution?